If your resolution for 2018 is to get healthy, first, take a look at your mouth. What does the health of your mouth have to do with the health of the rest of your body? Plenty! 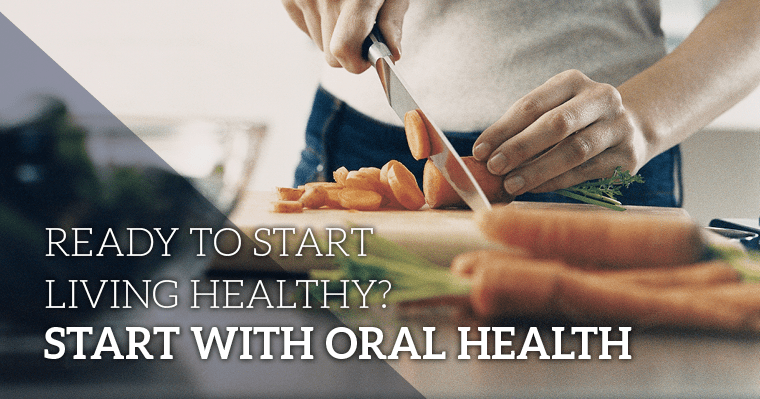 You might be surprised to learn the significant impact your oral health has on your whole-body health, including your energy levels, digestion, weight loss, and mental health. The key to a healthier you in in the new year is understanding the mouth/body connection. When someone isn’t brushing and flossing properly, it allows a sticky residue called plaque to build up along the gumline. This provides the perfect environment for damaging bacteria to thrive, leading to infection or gum disease. This bacteria can enter the bloodstream and be carried to other areas of the body, where it can do serious damage. In one recent study, people with serious gum disease were 40% more likely to have a chronic condition on top of it. In fact, conditions such as diabetes, cardiovascular disease, respiratory tract infections, and depression have been linked to the presence of gum disease. Along with these more serious conditions, bacterial build up in your mouth can also affect other aspects of your health. When your gums are inflamed, it can affect your body’s ability to regulate blood sugar and this can have consequences for your energy levels. Also, your immune system is constantly fighting against this bacterial invasion and your body’s energy resources are being diverted to this battle, leaving you feeling tired and worn out. If you are looking to increase your energy levels in 2018, the solution may be as simple as remembering to thoroughly brush and floss twice a day. There is a close connection between your oral care and those extra pounds you can’t seem to get rid of. 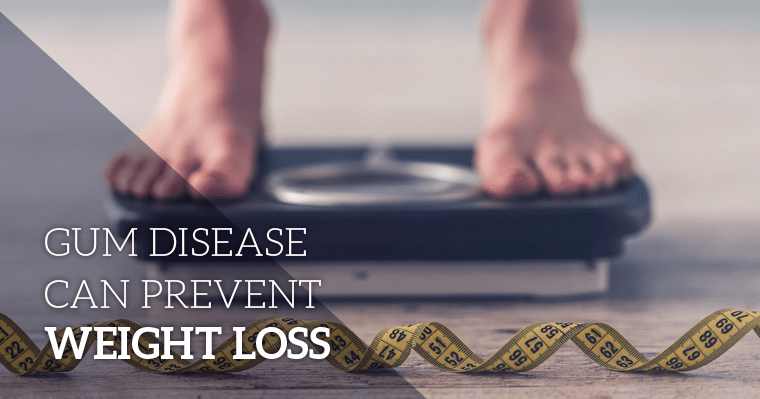 The inflammation from gum disease causes stress in the body, causing metabolic and circulatory problems, which could be interfering with your attempts to lose weight. By practicing good oral hygiene, you can prevent gum disease and can stop the frustration caused when all that walking on the treadmill doesn’t seem to be getting you where you want to go weight-wise! You may have resolved to eat healthier in the new year, but are you getting all the nutrients available in those leafy greens and fresh fruits you’re eating? Nutrients from food that are properly digested are the key to a healthy body. The digestive process starts in the mouth. One of the inevitable effects of chronic gum disease is tooth loss. The fewer teeth we have, the less ability we have to chew our food well, making it harder to digest and glean nutritious value. Also, ulcers in the stomach are often attributed to bacterial infections in the stomach lining. The bacteria that collects in your mouth when periodontal disease is present can be the same bacteria that causes gastric ulcers. Make sure you are getting the full benefits of your determination to eat healthier this year by having regular hygiene visits with your dentist. And if you have missing teeth, discuss options such as bridges, implants, or dentures for replacing them. We all just want to feel good, both physically and mentally. Isn’t that why we make resolutions each year to improve ourselves and try so hard to keep them? It’s a proven fact that people with poor oral health are more likely to have emotional and self-image problems. This isn’t really surprising when you think of the negative social effects caused by such things as bad breath, missing or stained teeth, and receding gums – all caused by gum disease. Having healthy teeth and gums makes you feel good about yourself, giving you the confidence you need in social situations. By taking just five minutes each day to follow a good oral hygiene routine of brushing and flossing, you reap the priceless reward of feeling great about yourself the rest of the day! Brush and floss twice a day for five minutes. See the dentist every six months. Replace your toothbrush regularly, usually with the changes in the season. Eat healthy foods and avoid sugary snacks and beverages. 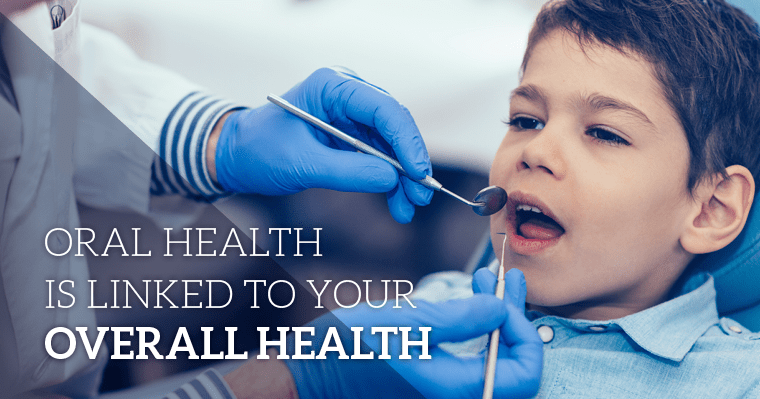 Having a healthy mouth is the necessary foundation for having a healthy body. If you want to be healthier in 2018, start with your mouth!